Why take the time to develop a personal brand? Besides helping you identify your personal strengths, having a brand can pull your resume to the top of the pile, make you shine in interviews, and leave your LinkedIn readers positively wowed. 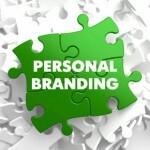 Personal branding is about communicating your identity and showing what sets you apart from others in your field. It combines the personal with the professional, since a brand encompasses your skills and talents, along with personality and style. Developing and owning your brand can be uncomfortable. It requires you to deeply consider your unique attributes and the value that you bring to a customer and workplace. And personal branding is definitely about promoting those qualities wherever you bring your job search. Corporations take great care to develop a brand that concisely defines their product and niche, hoping to inspire trust and commitment in consumers. If you apply similar thinking to your personal brand, you can distinguish your value in a way that inspires an employer’s interest in you. To develop your own brand, consider several of your best work experiences and how you contributed to them. What skill or characteristic is reflected in your best work stories? How did you use it? With what result? Ask yourself: “Why do people like to work with me, or employ me?” What earns you compliments or accolades? What do people depend on you for? You can identify these answers yourself, or work with a career coach or counselor to help you identify them. It’s a good idea to ask for some feedback on your ideas from a few trusted friends or colleagues before you go public with your brand, to avoid a mismatch of how you see yourself and how you may come across to others. Use your brand in all your job search communications to help an employer formulate a clear idea of who you are. Reiterate your brand in your cover letter, in interviews, and in thank-you notes. For your LinkedIn or other social media profile, your brand should stand out as the key take-away about you. If you blog, your brand should be reflected in your topics and style. Learn more on CareerOneStop about how to Take Your Network Online, and Do Your Research to prepare the strongest possible job search materials. And find your nearest American Job Center for individual help to develop your personal brand and resume.